Hazle Drugs has been recognized in the community for 150 years as a local and independently owned pharmacy that delivers exceptional service, expert support and the attention patients need to manage their health. As your local pharmacy for 150 years, we offer quality products at affordable prices, while providing the personalized attention and customer service you expect from a local business. As your neighbors, we live, work and play in the same community as you and your family. We believe it is our responsibility to take care of our community and our neighbors, and it’s one we take very seriously. We are community-based and strive to provide a family like atmosphere for all of our customers. As a matter of fact, we consider everyone who comes into Hazle Drugs, part of our family. Hazle Drugs Inc. has been dispensing quality medications to customers since 1868. 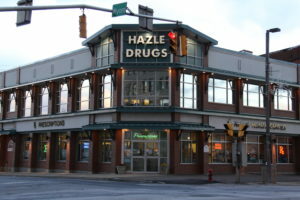 Hazle Drugs, nestled in the Western Pocono Mountains of Northeastern Pennsylvania, was the first drug store in Hazleton- A small mining town in Pennsylvania. 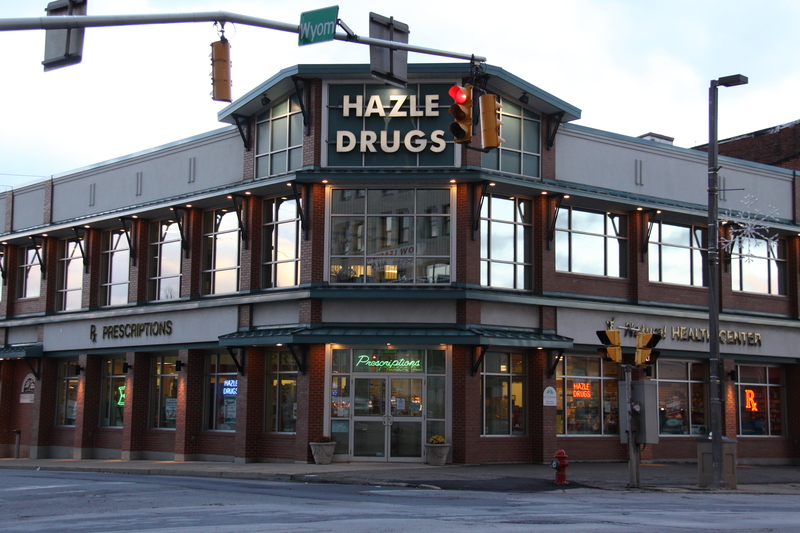 Hazle Drugs, one of America’s Oldest Pharmacies, is a family owned professional pharmacy that has served Hazleton, Pa, surrounding communities and beyond since 1868. Hazle Drugs continues today with the same mission that began in 1868, to provide patients with unmatched pharmaceutical knowledge, integrity, expertise and dependable service. In 1868 Hazle Drugs was located at the main business corner of town (Broad and Wyoming St.) and the pharmacy still remains at that same historic corner today. 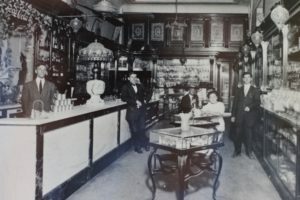 In the “old days”, Hazle Drugs provided service to all with a complete traditional retail drug store along with a “Soda Fountain” which was the meeting place for many years in this bustling town. Hazleton’s main street, Broad St., was a highway connecting two important rivers in Pennsylvania and served as overland passage of military and commercial shipments between these rivers as well as the overland stage coach which served passengers and mail routes. Hazle Drugs was an important stage coach stop for medicine, food and lodging while on a long and dusty journey. Hazle Drugs Inc. also served the community as the trolley car stop for all surrounding towns. There was also a shoe shine chair and produce stand attached to the exterior wall of the pharmacy that was popular with the locals. Hazle Drugs pharmacists also served the small local hospital with daily prescription services during store hours and on-call service after hours.The pharmacy was the pulse of the community in it’s earlier days and serves in much the same way today. Through the past 150 plus years in business, Hazle Drugs has seen years of industry changes, and scientific advancement while continuing to provide top-notch, cutting edge healthcare to Hazleton, Pa and across the entire United States. In 2002, Hazle Drugs owners, Bill and Bill Spear, Jr. decided to continue our dedication to the Greater Hazleton Community by building a new, state-of-the-art Pharmacy and Natural Health Center. The Hazleton House/Hazleton Hotel building which was built in 1837 was demolished and new construction began. A new 15,000 sq. feet ultra modern, two story Pharmacy/Natural Health Center was completed in October 2003. This new Pharmacy/Natural Health Center continues to provide the same personalized prescription service to Hazle Drugs customers as it has since 1868. 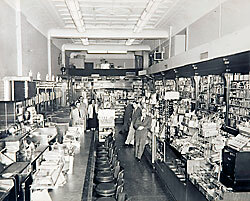 The first floor contains an ultra modern traditional pharmacy and retail area. The pharmacy also has a private consultation room used for confidential menopause consultations, nutritional consultations, diabetes screenings, flu clinics, blood pressure and health screenings etc. The second floor of Hazle Drugs Natural Health Center contains the Hazle Drugs Learning Center which is used for lectures and presentations along with a second floor therapy and consultation room that is utilized for Nutritional Assessments and Testing, Massage Therapy, Reiki Therapy etc. Bill Spear, B.S. R.Ph., CCN obtained his Bachelor of Science degree in Pharmacy from Philadelphia College of Pharmacy and Science which is now the University of the Sciences in Philadelphia. Bill, also a Certified Clinical Nutritionist (CCN), obtained his post graduate degree from the Clinical Nutrition Board and by the American Association of Clinical Nutritionists. He provides private consultations to patients to help promote optimal health and to prevent nutrition related diseases. Bill also received extensive training in compounding prescriptions from PCCA (Professional Compounding Centers of America.) He also completed Anti-Aging courses from the American College of Advancement in Longevity Medicine. 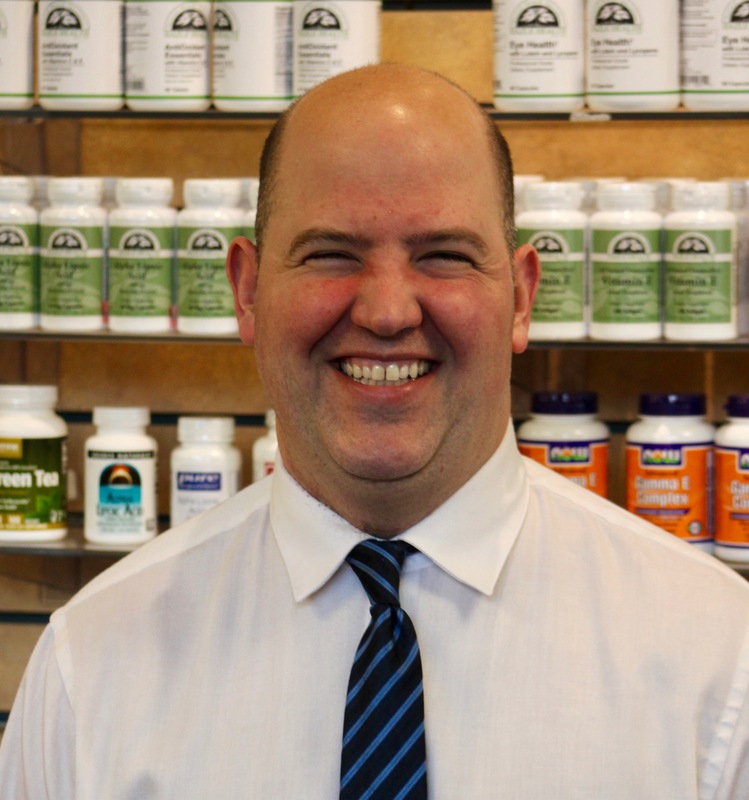 Bill’s knowledge and expertise in compounding and nutrition has made him become a very well known speaker throughout the Northeastern United States and his community as well. He lectures to many health service organizations regarding all aspects of compounding customized medications including Bio Identical Hormone Replacement Therapy. Bill also was a speaker at the Food and Health Expo in Philadelphia sponsored by the Centers for Advancement in Cancer Education. 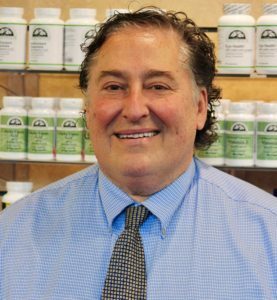 He also appeared on WBRE 28 (NBC) news “Health Beat” segment which featured discussions about Natural Hormones and Vitamins. This segment was televised nationally throughout the country. Bill also appeared on the “New Yorkers” television show in New York City. He was a featured guest who spoke about “Natural Therapies”, and “The Use of Nutritional Supplements to Help Slow the Aging Process”. He has also been featured regularly on the local TV show “Your Life as a “Natural Pharmacist” and has also been a guest host for the show. His topics on the show have included Nutrition, Vitamins, Compounding Medications, Hormone Replacement Therapy, Natural Therapies for Downs Syndrome and Autism etc. Bill was also selected from over 3,000 pharmacists to be PCCA’s (Professional Compounding Centers of America) pharmacist of the month. He was selected for this honor based on his dedication to quality standards in pharmacy compounding and for his constant commitment to his community and his patients. Bill is dedicated to making a difference and is very active in his community as well. He is past chairman of the Greater Hazleton Chamber of Commerce and presently serves on the Board of Directors and is chairman of the Chamber of Commerce Downtown Committee. He is also past president of the American Cancer Society Hazleton Unit. He has also served his community in the past as a board member of the American Red Cross, Hazleton Rotary Club, Hazleton General Hospital, Hazleton Healthcare Foundation and the United Way. He was a past board member of Hazleton general Hospital Professional Affairs Committee. He currently is a board member of Downtown Hazleton Alliance for Progress (DHAP) and was recently elected to the Board of Creditation/Accreditation (BOC). His professional memberships include Luzerne County Pharmacists Association, Pennsylvania Pharmacists Association, American Homeopathic Pharmaceutical Association, American Society of Natural Products, PCCA (Professional Compounding Centers of America), IACP (International Association of Compounding Pharmacists), International American College of Advancement in Medicine, Center for Advancement in Cancer Education, National Association of Hospital Pharmacists, International College of Integrative Medicine, and International and American Association of Clinical Nutritionists. He resides in the Hazleton area with his wife and their three sons. Bill graduated from Temple University in Philadelphia receiving his Bachelor of Science degree in Pharmacy and has been the driving force behind Hazle Drugs Inc. since 1960. 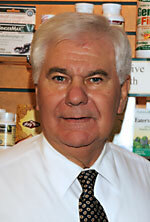 As an independent community Pharmacist for over 60 years, Bill has been involved in retail pharmacy all of his professional life. Today, Bill keeps up-to-date with new developments and techniques by attending special seminars and taking continuing education courses designed in the use of herbs and nutritional supplements for wellness and disease management. He is a member of the International College of Integrated Medicine (ICIM), American College of Advancement in Medicine (ACAM), Pennsylvania Pharmacists Association, American Homeopathic Pharmacist Association and the American Society of Natural Pharmacists. Bill is also very active in the community. Having served on many boards and agencies over the years including the United Way Agency, Hazleton Chamber of Commerce, Downtown Hazleton Alliance for Progress (DHAP), Hazleton Area Public Library Board for 11 years and First Federal Bank advisory board for 21 years. He was also a member and president of the Hazleton Board of Health which he served on for over 30 years. 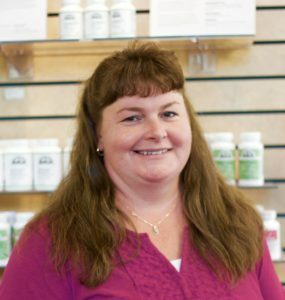 Lori is a licensed registered pharmacist and a staff member of Hazle Drugs Inc since 1996. She attended the Philadelphia College of Pharmacy and Science (PCP&S) now known as the University of the Sciences of Philadelphia (USP). She earned a Bachelor of Science degree in pharmacy in 1996. Lori provides education and services to women from teenage years to adulthood. She specializes in counseling teenagers regarding the transition from puberty to the regulation of menstrual cycles. She also counsels women regarding fertility issues. 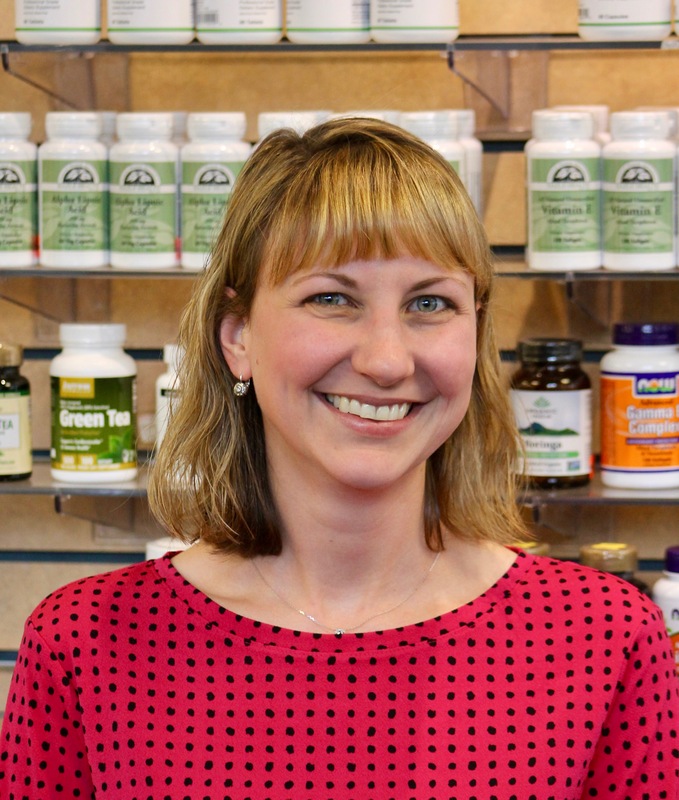 Lori’s main goal is to provide proper wellness, nutrition and hormone balance to women of all ages. Lori has also received her Certified Menopause Education Certification. She is available for private Menopause Consultations either in person or by phone consultation. These hormonal consultations deal with hormone related issued ranging from depression and mood changes to libido issues. She attends numerous continuing education seminars and symposiums each years. She also lectures to many professional and patient groups regarding the use of Natural Bio-Identical Hormones. Lori’s professional memberships include: International College of Integrated Medicine (ICIM); American College of Advancement in Medicine (ACAM); International Academy of Compounding Pharmacists (IACP); North American Menopause Society (NAMS); American Pharmacist Association (APhA); Pennsylvania Pharmacists Association (PPA); and the Schuylkill County Pharmacists Association. 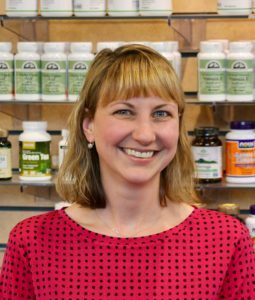 Lori can be contacted at Hazle Drugs for hormone related questions or a menopause consultation. She also provides MTM patient consultations as well as working with patients and their physicians so they can transition to our Medication Monitoring Blister Pak System. Lori lives in the Tamaqua area with her husband, son, and two daughters. Wendy joined Hazle Drugs staff in 2008. She received her Doctor of Pharmacy degree from Wilkes University. Wendy is head of our vaccine programs. She schedules our flu clinics in the pharmacy each year that begin in late August and run thru February. Wendy is in charge of our employer flu clinics. She schedules clinics at various work places each year and also schedules flu clinics at senior centers and nursing facilities. She is certified to administer Immunizations and Injectables to adults including Influenza, Pneumoccoccal, Shingles, Hepatitis A, Hepatitis B, Meningococcal, MMR, HPV and Tetanus/Diptheria/Pertussis vaccines. Wendy has completed Medicare Part-D training and helps patients find the best Medicare plan based on their individual medication needs. Wendy also consults patients about our Medication Synchronization Program also called Hazle Drugs “Pill Fill Program”. She helps patients organize their prescriptions so that they can be filled on a monthly basis eliminating unnecessary trips to the pharmacy. For more information regarding these services, please contact Wendy at Hazle Drugs. Wendy’s professional memberships include: American Pharmacists Association, National Community Pharmacists Association and the Pennsylvania Pharmaceutical Association. Wendy resides in the Lake Hauto area with her husband and son. Mark Moran, R.Ph, joined Hazle Drugs team in 2010. Mark graduated in the top 10 of his pharmacy class from the University of Pittsburgh and was inducted into the Rho Chi Honor Society. Mark has completed Medicare Part D training and is an expert in helping Medicare patients pick the best plans based on their specific needs. Because of Mark’s prior experience in long term care, he is our Medication Therapy Management expert. During this process, Mark performs a consultation with the patient to review their medication drug therapy. Mark believes that medication therapy management is important in maintaining health and wellness and enjoys working with patients one-on-one to help meet their healthcare goals..
Mark also reviews a patient’s current medications and explains our Medication Monitor Program, which is more than a blister pack. This blister packaging is a FREE Medication Monitoring System that organizes YOUR OWN prescriptions to ensure that you take the correct medications at the correct time of the day. Mark plays an important role in helping people get the best results from their medications; whether it’s preventing drug or food interactions, suggesting less expensive alternatives, or just being someone to listen to your healthcare concerns. Mark lives in the Sugarloaf area with his wife and two daughters.